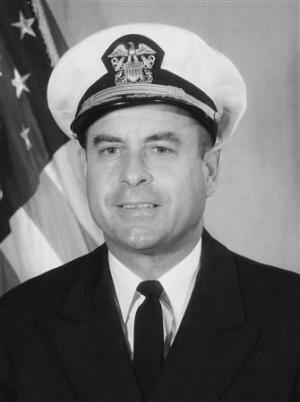 Jeremiah Denton, a pilot with the rank of U.S. Navy Commander during the Vietnam War, was flying his bomber off the carrier USS Independence when he was shot down on July 18, 1965. At the time of the shoot-down, Denton was leading an attack on a military installation in North Vietnam. Captured by the North Vietnamese, he was a prisoner of war in Hanoi for seven years and seven months. Denton spent much of that time in solitary confinement. He, and ten others, were kept in a special prison which the American POWs dubbed “Alcatraz.” Known as one of the “Alcatraz 11,” Denton occupied Cell No. 10. About ten months after his capture, Denton became part of a propaganda campaign for North Vietnam. On the 2nd of Mary, 1966, a Japanese journalist interviewed him for a television broadcast. Although his captors had instructed Denton to answer the journalist’s questions in a particular way, Jeremiah followed his own mind and expressed his own thoughts. Even though he knew he’d be tortured later, the Navy Commander said that he supported his government and whatever actions they took. Denison's eyeblinking Morse-Code message was the first confirmation American military leaders had that U.S. prisoners of war were being tortured by the North Vietnamese. Promoted by the Navy, during his captivity, Denton was released by the North Vietnamese on February 12, 1973. He wrote When Hell Was in Session (about his life as a POW). After retiring from the Navy, Denton decided to take-up politics. He was elected as a U.S. Senator, from Alabama, and served in that capacity between 1981-1987. Admiral Denton died on the 28th of March, 2014, at the age of 89 and is buried at Arlington Cemetery. His defiant use of Morse Code, to communicate what his life as a POW was really like, is an example of how one can resist even the worst of enemies under the worst of conditions. Clip of recorded interview, described above, online via U.S. National Archives. In-text image of Commander Jeremiah Denton, Jr., photograph by Pomponio, March 1965 National Archives, General Records of the Department of the Navy, 1947– [428-GX-831925]. In-text historical video explaining Morse Code and its rhythmic "DIs" and "DAHs," online via YouTube embedding. Bos, Carole "Blinking Eyes Send a Morse Code Message" AwesomeStories.com. Nov 12, 2014. Apr 18, 2019.